This speech, given in 1964 is the epitome of Dr. King’s style and appeal. He covers all the bases in his inimitable style. This is well worth the time to listen to in its entirety. When I first saw this headline it made my blood boil and here’s why. 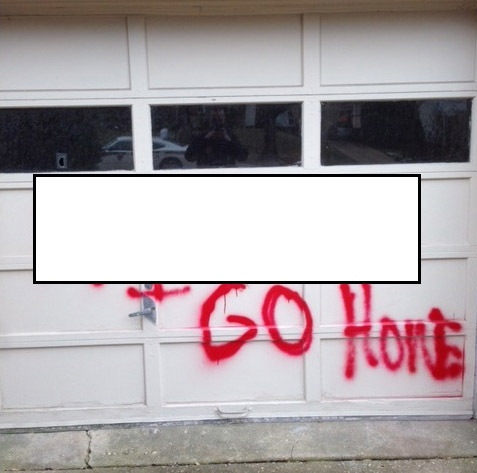 This slur was written on property owned by the n******….it IS their home, it’s where they belong, it would be where they would go when they go home, but the person or persons who wrote the epithet know that. What they are saying to the African-American occupants of that house is they don’t belong wherever the racist authors say they don’t belong. At the moment it’s the neighborhood……….and at some other point during their racist ire it might very well be any place in America because for most white people…..they belong everywhere and have an inalienable right to go wherever they want. People of color on the other hand are not naturally assumed to have equal protection under the law….rather they must be given that right when, and, or if whites say they can have it. American hasn’t changed……it’s only gotten worse. 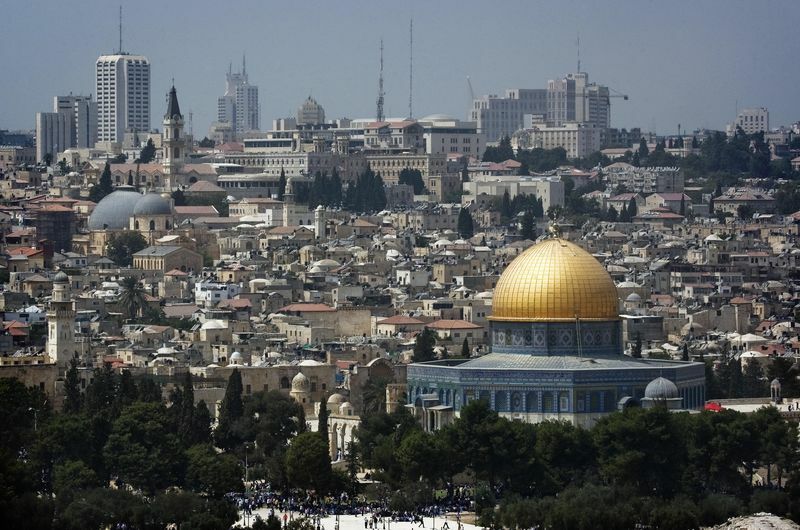 House Speaker John Boehner has invited Israeli Prime Minister Benjamin Netanyahu to speak to a joint session of Congress in February, on the topic of Iran. On the surface, this might seem innocent enough. Israel is a close American ally. Surely he should be welcome in Congress, particularly to discuss an issue that concerns his country. On the surface, Netanyahu’s speech will be about opposing Obama’s nuclear talks with Iran and supporting Republican-led sanctions meant to blow up those talks. But there’s more than meets the eye here. Netanyahu is playing a game with US domestic politics to try to undermine and pressure Obama — and thus steer US foreign policy. Boehner wants to help him out. By reaching out to Netanyahu directly and setting up a visit without the knowledge of the White House, he is undermining not just Obama’s policies but his very leadership of US foreign policy. The fact that Netanyahu is once again meddling in American politics, and that a US political party is siding with a foreign country over their own president, is extremely unusual, and a major break with the way that foreign relations usually work. 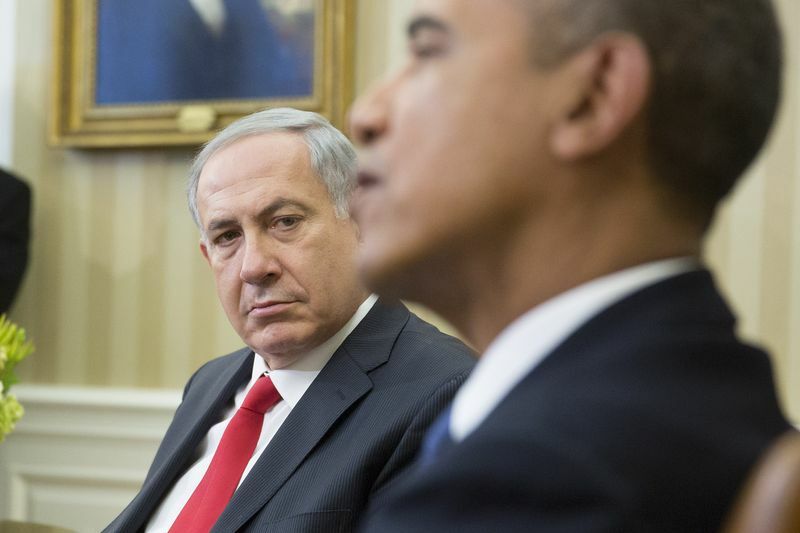 Throughout Obama’s tenure, he has clashed with Netanyahu. That is no secret, and it’s nothing new for American and Israeli leaders to disagree, sometimes very publicly. But Netanyahu, beginning in May 2011, adopted a new strategy to try to deal with this: using domestic American politics as a way to try to push around Obama. During a trip that month to Washington, Netanyahu publicly lectured Obama at a press conference and then gave a speech to Congress slamming the president. That speech, also hosted by Republicans, received many standing ovations for Netanyahu’s finger-wagging criticism of Obama. At first it appeared that Netanyahu was merely trying to steer Obama’s foreign policy in a direction that he, Netanyahu, preferred. Obama wanted Netanyahu to freeze Israeli settlement growth in the West Bank, for example; Obama has also sought, in his second term, to reach a nuclear deal with Iran that Netanyahu earnestly believes is a bad idea. Netanyahu’s first responsibility is to Israel’s national interests, not to Obama, so it makes sense that he would push for policies that he thinks are good for Israel. But in 2011 Netanyahu started going a step further, and appeared to be working to actively remove Obama from power. During the 2012 election cycle, Netanyahu and his government were increasingly critical of Obama and supportive of Republicans, including presidential candidate Mitt Romney, for whom he at times appeared to be actively campaigning. Netanyahu’s criticisms of Obama were so pointed that some of Obama’s opponents cut a campaign ad out of them. It became a joke within Israel that Netanyahu saw himself not as the leader of a sovereign country, but as the Republican senator from Israel. But trying to unseat a foreign leader is not a joke, especially when that foreign leader is funding your military and guaranteeing your nation’s security. Netanyahu’s government ramped down this strategy after Obama won; he even gave Obama the world’s most awkward congratulations speech. But throughout Obama’s second term he has once again gradually escalated from trying to influence Obama to actively undermining both the president and his party. The new Israeli ambassador to the US for months would not even bother to meet with National Security Advisor Susan Rice, yet held many meetings with Republican fundraiser Sheldon Adelson. Israel’s foreign policy, in other words, was more focused on undermining the American leadership than working with it. Republicans, aware that Americans are supportive of Israel, have urged on Netanyahu’s anti-Obama campaign since it began in 2011. Inviting him to speak to Congress that year was shrewd domestic politics, and it will be shrewd legislative politics next month when Netanyahu publicly supports the GOP’s sanctions efforts. This makes sense within the narrow scope of domestic politics — if you can use something to convince voters your party and its policies are a better choice than your opponents, you use it, even if that something is a foreign head of state. But members of Congress are purportedly supposed to put their country before their party, and siding with a foreign leader over your own president doesn’t seem to do that. Neither does cheering a foreign leader when he lambasts the president of the United States. More to the point, it was a really significant breach when some conservatives supported Netanyahu’s implicit lobbying on behalf of the Romney campaign. If a foreign country wants to unseat your president, that is generally considered an outrageous breach. But Netanyahu has been invited in, and with the 2016 presidential elections ramping up it appears likely he will be invited in once more to implicitly run against the Democrats. This speaks, in a very real sense, to just how extreme political polarization has become in Washington. To be very clear, this is not just a breach of protocol: it’s a very real problem for American foreign policy. The Supreme Court has codified into law the idea that only the president is allowed to make foreign policy, and not Congress, because if there are two branches of government setting foreign policy then America effectively has two foreign policies. This could also allow a foreign country to play those two branches off of each other. That’s in part what Netanyahu is attempting to do here, and it’s working. The Obama administration did not even find out about Netanyahu’s planned visit to Washington until Boehner announced it. The Republicans are attempting to run a foreign policy that’s separate from the actual, official US foreign policy. One more anti-Obama speech from Netanyahu on the floor of Congress is not going to break US foreign policy, of course. But it’s troubling that Republicans are willing to breach such an important principle for some pretty modest short-term gains. I hope Muslim Americans study very well American history, because it’s about to repeat itself and Muslims will find themselves having to fight the same battles of equality fought by their African-American, Native-American, Asian American and Spanish speaking American brothers and sisters who have fought the entire length of this country’s existence. What’s even more ironic is this fight is symbolically starting on the day after the country’s observance of Martin Luther King day who’s being honored because he gave his life with a bullet to the brain fighting for the rights of people of color to equality. Everybody loves to quote Dr. King and memorialize him while at the same time completely ignoring his calls for racial human rights and equality. America is determined to go back down the road of bigotry and xenophobia and it has targeted its Muslim citizens. It’s not an issue of who is Muslim…..they come in all shapes, sizes and colors…..it’s Islam and Muslims that many in America have set their sights on. No where was that more apparent than during President Obama’s State of the Union Address. A blogger at RH Reality Check was insightful enough to observe the Senate chamber’s reaction to a portion of Obama’s address. The word “applause” appears at the points in his speech where members of Congress reacted positively to what the Prez said by clapping/applauding. As Americans, we respect human dignity, even when we’re threatened, which is why I’ve prohibited torture, [applause] and worked to make sure our use of new technology like drones is properly constrained [applause]. It’s why we speak out against the deplorable anti-Semitism that has resurfaced in certain parts of the world [applause]. It’s why we continue to reject offensive stereotypes of Muslims — the vast majority of whom share our commitment to peace[SILENCE]. That’s why we defend free speech, and advocate for political prisoners, and condemn the persecution of women, or religious minorities, or people who are lesbian, gay, bisexual, or transgender [applause]. We do these things not only because they’re right, but because they make us safer [applause]. However, no one in Congress, Democrat or Republican seems to think that Muslims are interested in peace and Obama’s remarks fell flat on the deaf ears of America’s lawmakers. That doesn’t bode well for America’s Muslims. To add insult to injury, the Speaker of the House, John Boehner unilaterally and unbeknownst to the White House invited Israel’s warmonger Benjamin Netanyahu to talk about Iran and radical Islam…..which means Islam, which means Muslims, all Muslims those who are criminal and deranged beyond any hope as well as those who are law abiding contributing members to their societies……the ones Obama was referring to in his SOTU. Of course, Netanyahu has to demonize Muslims because he too is trying to exterminate them and he wants our help doing so….not that we’ve done very much to stop him, we just haven’t hastened his efforts. Certainly all the talk about Islamophobia and the hysteria surrounding it takes place in an atmosphere generated by the tragedy in Paris, France surrounding the Charlie Habdo cartoons, and the demonstrations taking place in Germany and the geopolitics of the larger Middle East and it seems America is doomed to repeat its history of enslaving and persecuting a group of people based solely on an affiliation America does not like and it would appear most members of Congress have no problem with that. This then is a part of our Nation’s character….it revels in xenophobia…..it embellishes it, embraces it, perpetuates it (FoxNews) and it wants to legalize it, return America to it’s segregationist past, glory. It won’t even stop at separate but equal, it wants to go beyond that to criminalize and expel. African-Americans, some living today….have seen this propensity America has to its dark side; Asian-Americans and Native-Americans have too. Muslim Americans might want to talk to them about how they survived the American juggernaut…..or at the very least, study and learn American history in order to prepare themselves. 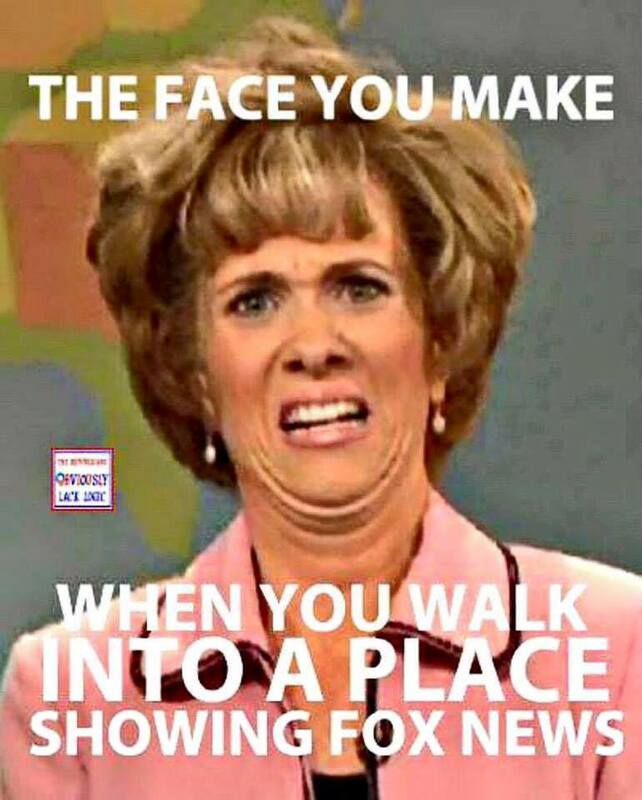 I have often times said ANYONE who goes on FoxNews is a sadist who likes self-flagellation and any Muslim who goes there is literally physically attacked and abused. It’s gotten so bad I can no longer look at that network’s programs so I was more than a bit intrigued to see this headline, 5 Times Muslim Guests Actually Got Their Points Across On Fox News. I’ll let you take a look and see if the title is accurate. A former Butch Otter staffer leaked a partial audio transcript she secretly recorded at an informal meeting Otter held with his Chief of Staff and the Director of the Idaho Department of Health & Welfare. The lurid, rambling transcript reveals a Nazi-esque attitude toward Idaho’s poor. The staffer says the three men often get together to candidly discuss issues affecting the State. 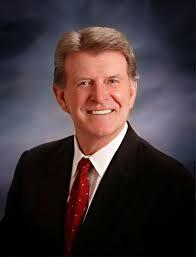 The staffer claims to have other recordings regarding Otter’s belief that gay people have a genetic flaw, his plan to eradicate wolves in Idaho and his desire to further criminalize marijuana laws. 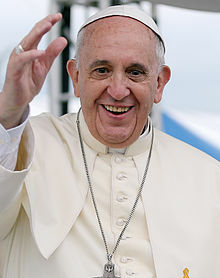 There is no God fearing sincere believer who would say anything different than what the Pope has said or what has been written in the pages of Miscellany101 but in this writer’s opinion it’s also unrealistic to expect people would not feel resentment towards those who use satire as a weapon to dehumanize or devalue one’s religious beliefs. The Pope believes that people have a responsibility to their fellow citizens and that satire and freedom of speech has limits and unbridled free speech also has consequences. It is a mature position and it takes a certain amount of courage to embrace it.